The ZOOMTAC-395 NM ultra violet flash light is ready for your project or application. Perfect for use with IFWA Series black light invisible inks. There are countless compounds that glow under black light including minerals, plants, fungi and microbes. Other organic and inorganic substances fluoresce as well and when then do it is an amazing effect to say the least. Fluorescent materials can absorb UV radiation which is invisible to the human eye, and then emit it in the visible spectrum. The absorption of this UV energy causes electrons in the compound to jump to a higher energy levels and when they fall back, then emit a photon of light. These electrons cannot stay in the higher level because they are unstable making the return to a lower energy level a continuous operation as long as the black light is on it. Some substances used as pigments in paints or dyes that exhibit fluorescence attributes making things appear brighter under sunlight. Sunlight has black light in it and they absorb invisible UV light part of the visible light and re-emit it at visible light. This particular characteristic is the reason they are commonly used for safety signs, safety vests and other applications in which high visibility is important and or necessary. Animals see in UV which gives fisherman an edge as well as birds and bees. "We found this unit fits our requirements during the event. We can use the flood light to check IDs and then use the focus spotlight to check patron's hand for the VIP section. The lens is easy to use and the body of the UV flashlight is good quality. We would recommend it to anyone." Amazing UV electronic device allowing you to use multiple different sized batteries such as two CR123A or use three AAA batteries. Black light energy is also called ultra violet light and is absorbed by the fluorescent reactive coatings emitting the glowing light. The inside of fluorescent tube lamps work the same way. Photonic energy reacts with fluorescent material and the energy is re-emitted as visible light. There are multiple types of UV energy and the most common use for our products is the 365 NM long wave type. 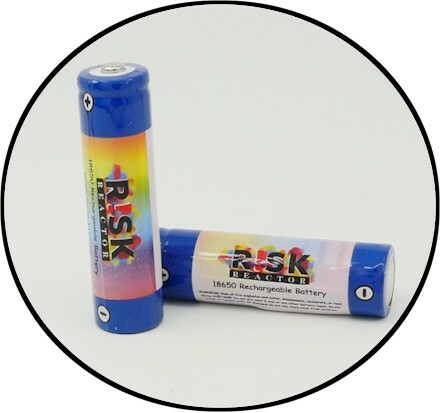 ZOOMTAC-395 Black Light UV Batteries. Rechargeable ZOOMTAC-395 Black Light Batteries. Hand Held UV Black Light Flashlights and Fixtures.